A 2 Part Event RECORDED June 23 & 24, 2018! A penetrating discussion hosted by Anaiis Salles of “Living Lessons Library” and Sienna Lea Inceptor of “Rise Multiversity“. Our line up of guests included: Rex Bear of the Leak Project, Alfred Lambremont Webre (JD, MEd) of News Inside Out, front-line reporter Ramola D, experiencer Sebastien Martin, and Patty Greer. 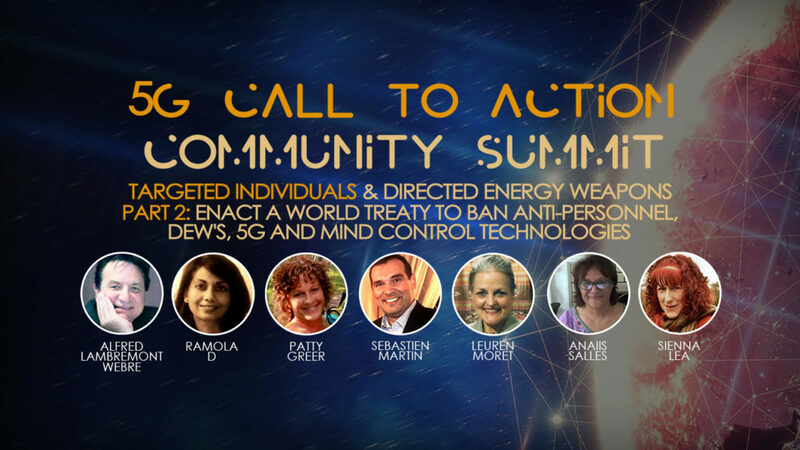 Our Summit focuses on how global citizens stop the targeting of Individuals by 5G technologies known as directed energy weapons (DEW). Get up to speed with the latest information about how we can be targeted and what to do about if we are “beamed“. Do you agree that Earth has become a global, open air concentration camp? Share your views and how you plan to defend and protect yourself and your loved ones. It’s time to realize that we are collaborating with our prison guards. A silent war is being waged against civilian populations around the world. Who is responsible and what are the funding sources? What help is available for DEW/Targeted Individuals? “World Treaty conference to Ban Anti-Personnel Neuro/Electromagnetic DEW Mind control Technologies”? What is it and how can you support its implementation? How do we each make a difference in our communities? Inspired. Motivated. Educated. Agitated. Make a simple choice. Answer our 5G Call to Action. Alfred Lambremont Webre can be said to be a futurist, lawyer, activist and speaker, prominent on the issues of exopolitics and the multiverse. Not only is he the author of over 10 books spanning several decades, this Yale graduate and Fullbright scholar has served as a former NGO delegate to the United Nations and Congressional coordinator for The Disclosure Project but he is also one of the Judge’s at the Kuala Lumpur War Crimes Tribunal assembled to address war crimes associated with the invasion of Iraq. A lifetime of dedication and fierce determination in the area of Human Rights has garnered Alfred Labremont Webre much admiration and respect amongst colleagues and audiences. His latest effort is launching a world Model Statute initiative to ban anti-personnel electromagnetic technologies and DEW’s. 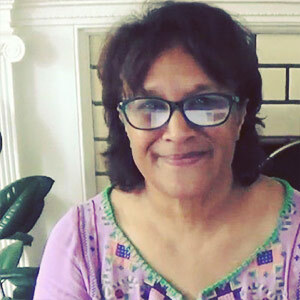 Ramola is an independent journalist, writer, poet, and human rights activist, vocal about Surveillance abuse and crimes against humanity accruing from extrajudicial targeting with Electronic Warfare weaponry and neurotechnology. A journalist focusing on science, technology, surveillance and military technologies which are currently being misused and abused via experimental use and operations on citizens, she speaks from experience being a front-line reporter. She is a decorated writer in the fields of fiction and poetry and runs podcast interviews with whistle-blowers, scientists, human rights advocates, and change-makers at her channel “Ramola D Reports”. Currently Press Officer on the US-Europe Joint Investigation Team, she reports also on secret service criminality, non-consensual implanting, and illegal use of neurotechnology. 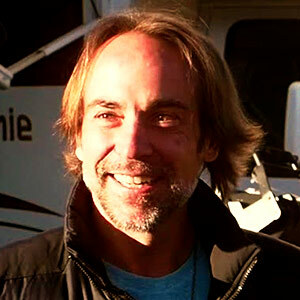 Sebastien Martin is a man of extraordinary experiences. 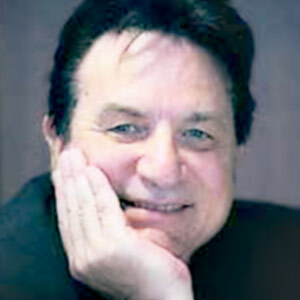 While a successful Canadian entrepreneur of international health food brands, he found himself in a 5th-dimensional encounter with a being from another world in his own home. Sebastien developed communications with his long-lost star family. After accepting the realisation of being a Starseed, Sebastien focused his attention to spreading the messages of changing our vibration and fulfilling the potential “we the people” have through raising our consciousness to be stewards of a better world. Nsuho (en-sue-ho) is his organisation, bringing cutting-edge information and assisting other starseeds find themselves and to network. Sebastien realises the dangers of 5G and what that imposition really means for us and the planet. 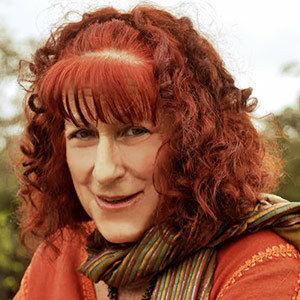 Patty Greer is one of the most devoted Crop Circle researchers today and a prominent UFO filmmaker who produced 8 full feature UFO films in 10 years that received many prestigious awards, including 5 EBEs at the International UFO Congress Convention. She believes that the Earth, human consciousness, and ETs have been co-communicating Crop Circle messages for centuries. Her unique movies and talks are like a backstage pass to unravelling these multidimensional communications that have been left like sticky notes in farm fields around the world for at least 200 years (that we know of). Rex Bear is host of The Leak Project podcast on YouTube. Through what can be said as a refreshing approach to “the brain drain media”, Rex has caught the attention of hundreds of thousands of viewers in the last 5 years. Expanding our understanding for our ancient history, exopolitics, and government psy-ops, The Leak Project news media website was created in direct response to corporate media fake news. 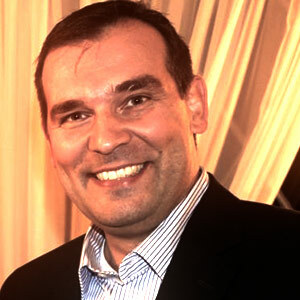 Rex is a prominent speaker and researcher in front and behind the microphone. His dedication to truth-seeking has made him a sought-after personality for a variety of alternative media outlets and independent journalists in the vanguard of new paradigm communications. Anaiis Salles‘ mission is guiding others to discovering the powerful, loving co-creative capacity that is each individual life. She focuses on divine feminine/divine masculine co-creation and supports those on a sacred union journey. 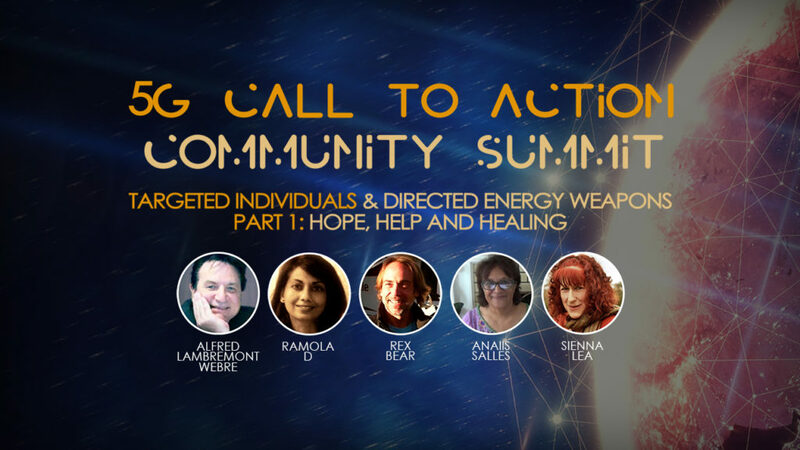 5D Sourced Solutions Essences, Meeting the Beloved, Co-Creation Catalysts, System of Separation and the 3D Construct are each educational projects or international retreats designed to advance new earth global, co-creative collaborations. 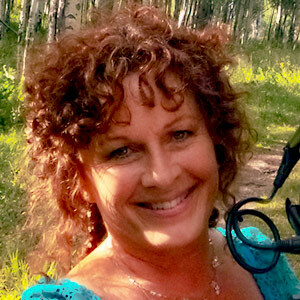 Sienna Lea is a psychologist with over 50 years experience engaged in new paradigm projects and communities. 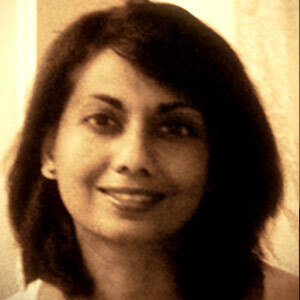 She is passionate about birthing a New Humane reality of care and embodied conscience. As a researcher in the inner topography of the personal and collective unconscious, she shares her wisdom, experience and techniques for pro-active solutions, offering tools and build skills to build awareness for authentic self-empowerment.